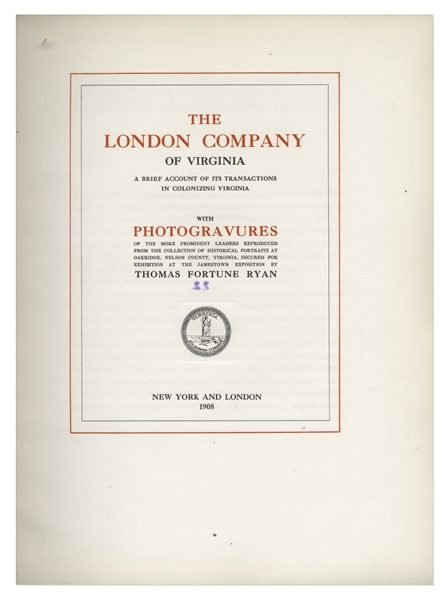 As President, Theodore Roosevelt signed copy of ''The London Company of Virginia'', published for the 300th anniversary of the Jamestown Colony, the first permanent English settlement in North America. 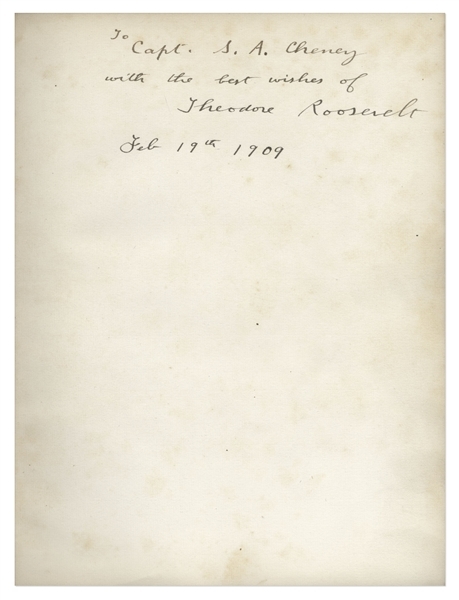 President Roosevelt signs the front free endpaper, ''To Capt. 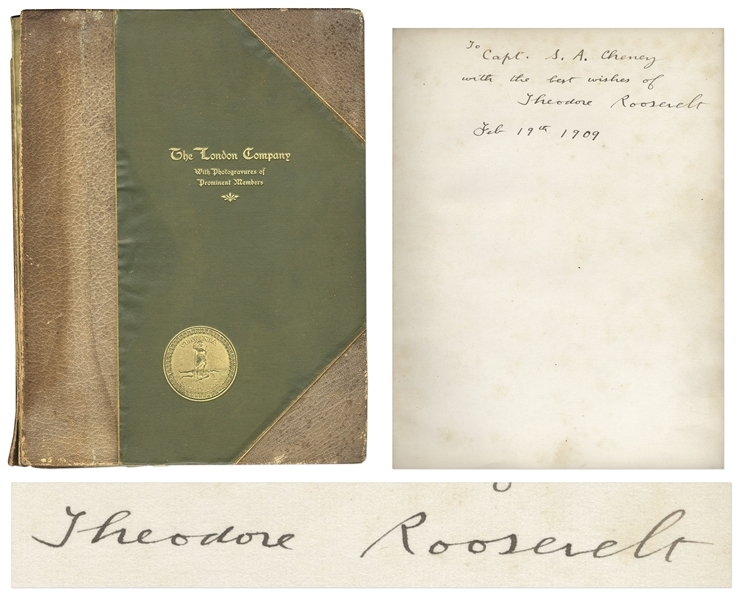 S.A. Cheney with the best wishes of / Theodore Roosevelt / Feb 19th 1909'', likely inscribed to Major S.A. Cheney of the Corps of Engineers. 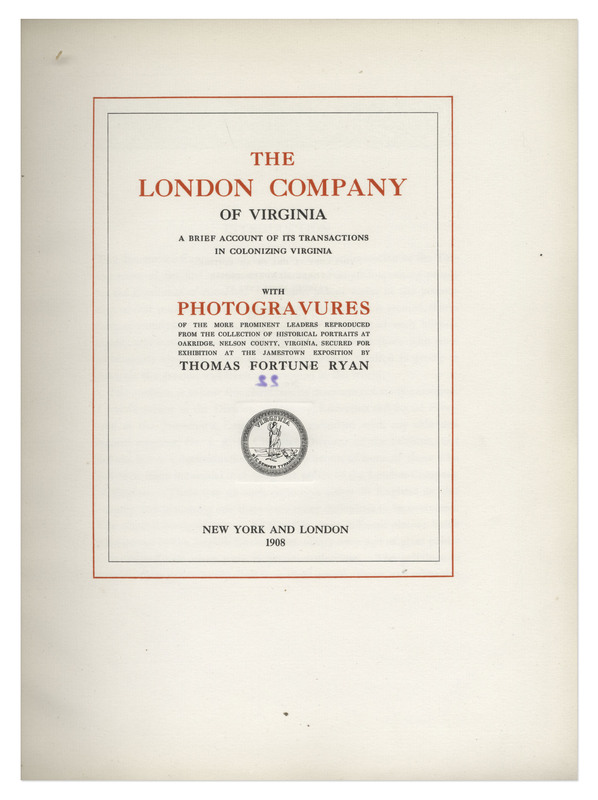 Number 22 of a limited edition of 300, book includes 23 gorgeous photogravures, published by Devinne Press in 1908. 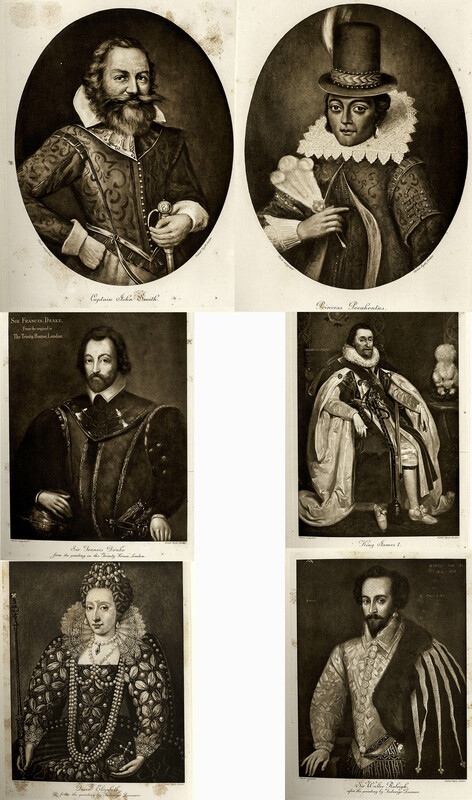 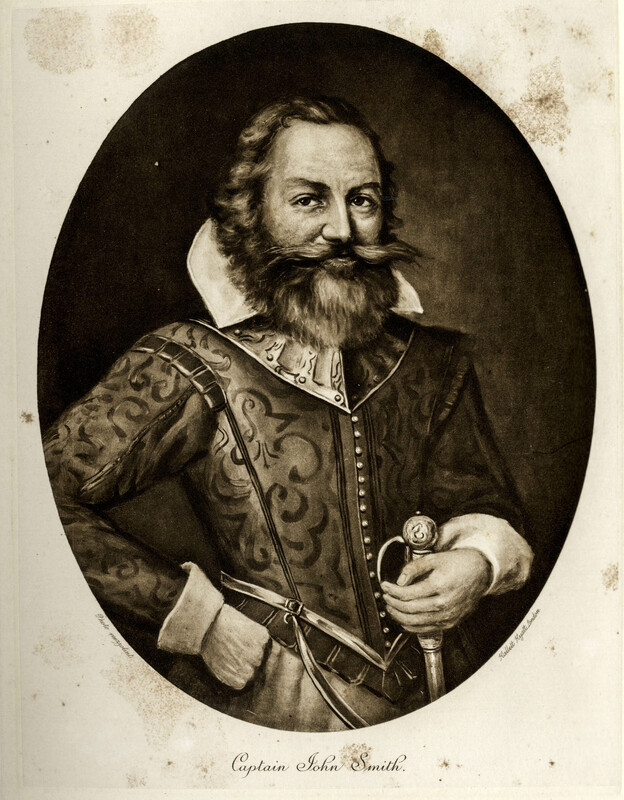 Full leaf photogravures begin with Queen Elizabeth and include other prominent contributors to the formation of Jamestown including Sir Walter Raleigh, Sir Francis Drake, King James I of England, John Smith, and Pocahontas. 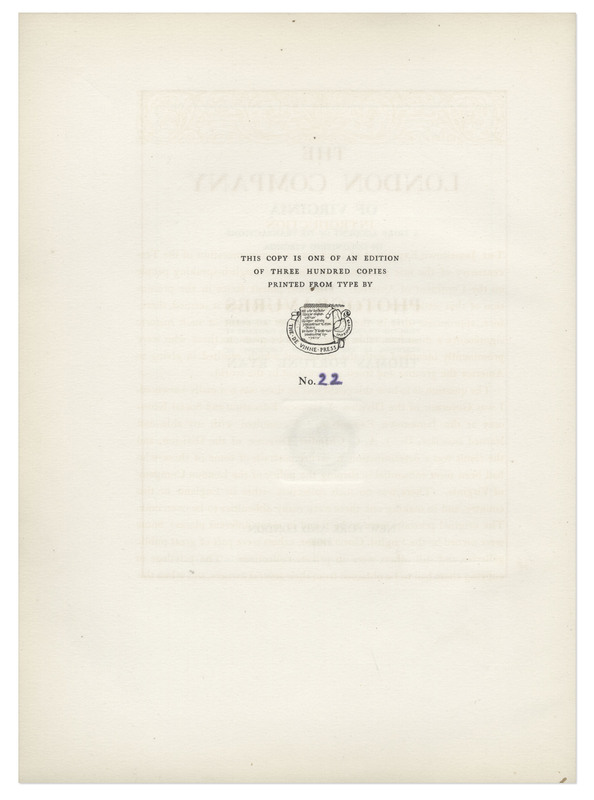 Book measures 9'' x 11.75''. Some foxing to gravures, otherwise interior is clean and near fine. Richly bound in one-half pebbled morocco leather, with the title and seal of Virginia in gilt on front. 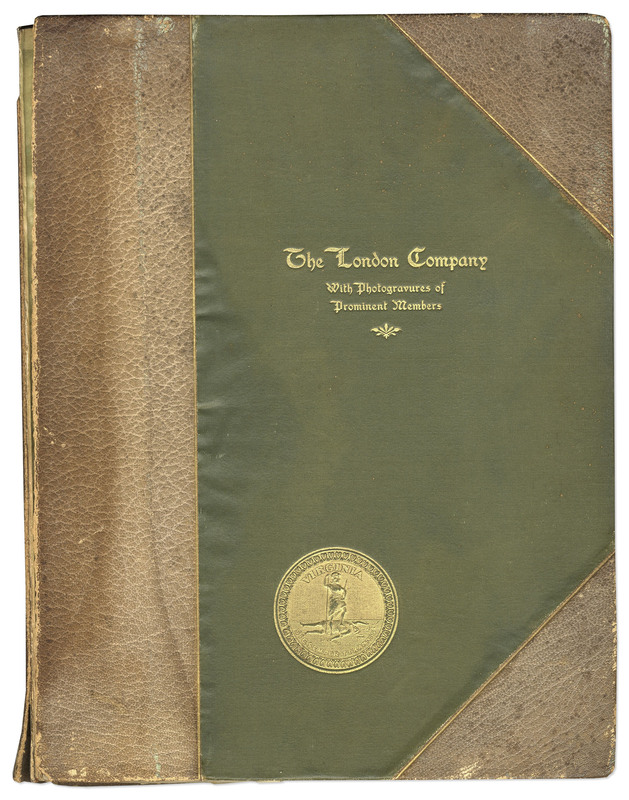 Front board is detached and small loss of leather to spine. Signature page has light foxing, otherwise near fine. 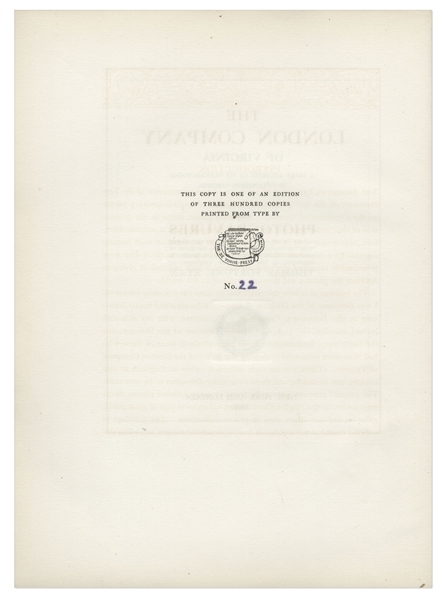 Overall in very good condition.